Fancy getting out of Dublin for the day and seeing some of the beautiful sites Ireland has to offer? David takes a look at some of the day trips you can take from Dublin during the summer. 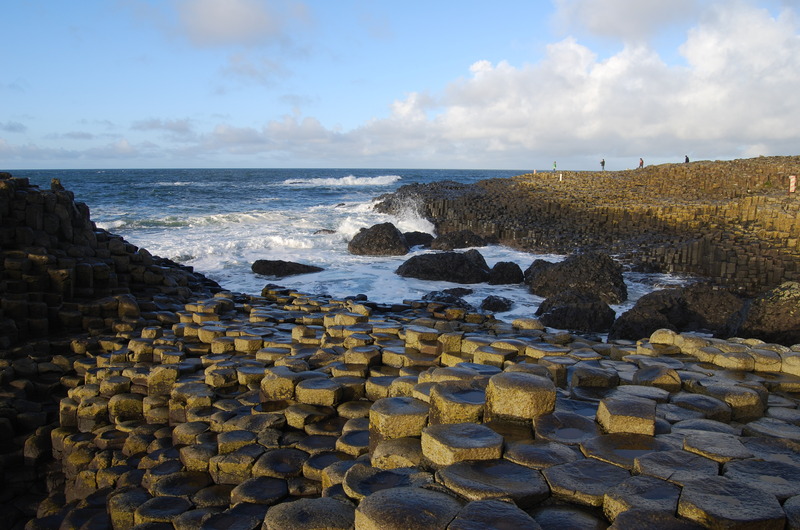 Listed as Ireland’s very first World Heritage site, the Giant’s Causeway is an area of about 40,000 interlocking basalt columns, the result of an ancient volcanic eruption 60 million years ago. It is one of the most popular tourist attractions in the British Isles and is a must-see for visitors due to its picturesque and beautiful landscapes. The Giant’s Causeway is steeped in myth and legend. Some say it was carved from the coast by the mighty giant, Finn McCool. Look out for clues of his existence – including The Giant’s Boot and Wishing Chair. The Giant’s Causeway is situated in County Antrim, Northern Ireland. It is 250km, or approximately 3 hours, from Dublin City. Day tours operate out of Dublin for as little as €60, see Paddy Wagon Tours or Giant Causeway Tours for tours operating out of Dublin. All the tours include other sights within their tour packages, such as Bushmills Whiskey Distillery and Dunluce Castle and are worth checking out! 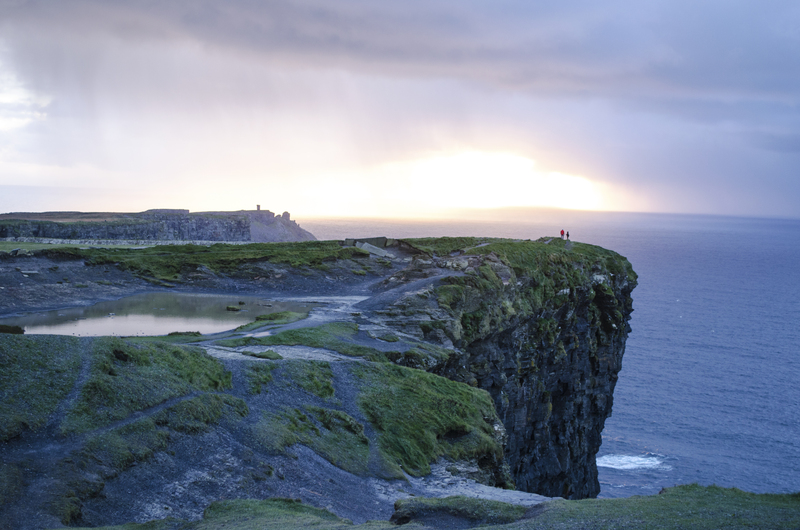 The Cliffs of Moher in County Clare are Ireland’s most visited natural attraction. Standing 214m (702 feet) at their highest point, they stretch for 8 kilometres (5 miles) along the Atlantic coast of County Clare in the west of Ireland. On a clear day one can see the Aran Islands, Galway Bay and much more from the Cliffs of Moher. The sheer, vertical drop of the cliff allows for magnificent, unique sea views along Ireland’s west coast. The Cliffs of Moher are located on the west coast of Ireland close to Liscannor village in Co. Clare. The Cliffs of Moher are easily accessed by road from Galway (1.5 hours), Limerick (1.5 hours) and Dublin is approximately 3.5 hours via Limerick. Day tours run from Dublin for as little as €40, see Paddy Wagon Tours or Cliffs of Moher Tours or Day Tours for day tours operating out of Dublin City. Housed in an iconic, 6-floor building, this state-of-the-art visitor experience tells the story of the Titanic. The visitor begins in turn of the century Belfast, to learn why this city, which was once the third largest in the Empire, was so industrialised. From there, the story of Titanic’s conception is told followed by its early construction, launch, fit out and tragic maiden voyage. The story is brought up to the present with the discovery of the wreck and into the future with live links to contemporary undersea exploration. Across ten galleries, with an equal number of interactive exhibits, Titanic Belfast will convey the sights, sounds, smells and stories of the shipyard and its most famous creation. 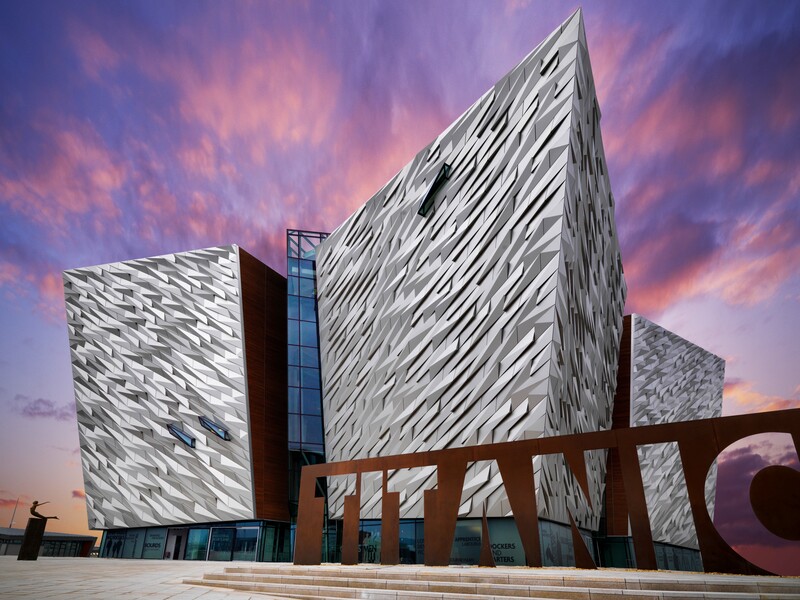 Titanic Belfast is situated in Belfast City, Northern Ireland. Only 2.4km (1.5 miles) away from Belfast city centre (Donegall Square); a pleasant 25-30 minute walk through the old Cathedral Quarter and across the River Lagan. You can travel to Belfast by bus (approx. €23) from Dublin City, and walk from there to the Titanic Experience. Tickets for students are priced at £11/€15. Built nearly six hundred years ago by one of Ireland’s greatest chieftans, Cormac MacCarthy, Blarney Castle has been attracting attention ever since. Over the last few hundred years, millions have flocked to Blarney making it a world landmark and one of Ireland’s greatest treasures. The castle is now a partial ruin with some accessible rooms and battlements. 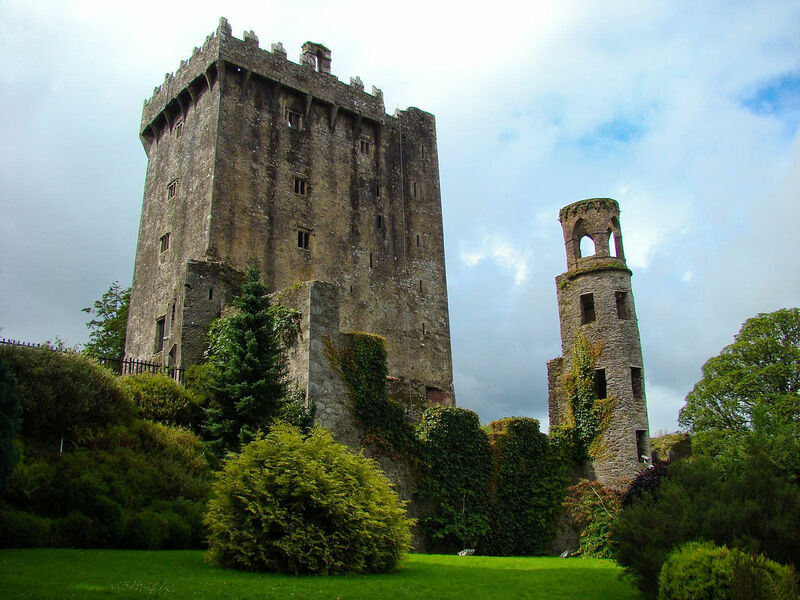 At the top of the castle lies the Blarney Stone. Tourists visiting Blarney Castle may hang upside-down over a sheer drop to kiss the stone, which is said to give the gift of eloquence. Surrounding the castle are extensive, beautiful gardens. Blarney Castle is situated in Blarney Village which is 8 km northwest from Cork city in the South of Ireland. You can travel to Cork City by train (€32.50 ) or bus (€20). Once you are in Cork City centre, you can get a public bus, number 215, out to Blarney Village which is a short walk from the castle.